Today’s post is dear to me. 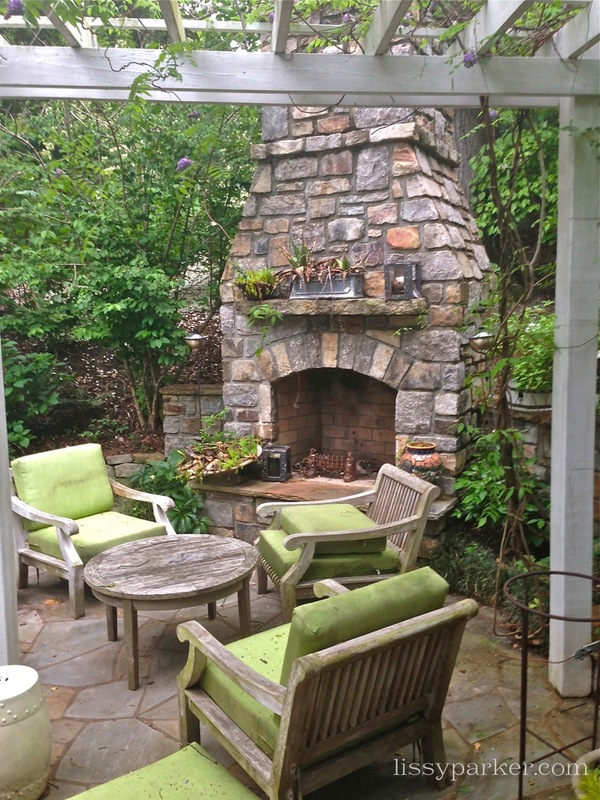 This lovely little Hilltop Villa for sale in the Buckhead area of Atlanta is mine. We have been planning this move for years now, and the time is finally perfect. Mr. P has worked his scheduling and meeting skills to the extreme to make all the last minute arrangements for listing day—and that day is today. We love this home and this area of Atlanta. The house was built in 1948 and retains all of the charm (and quirkiness) of that era—there’s even an old clock plug above the kitchen door. 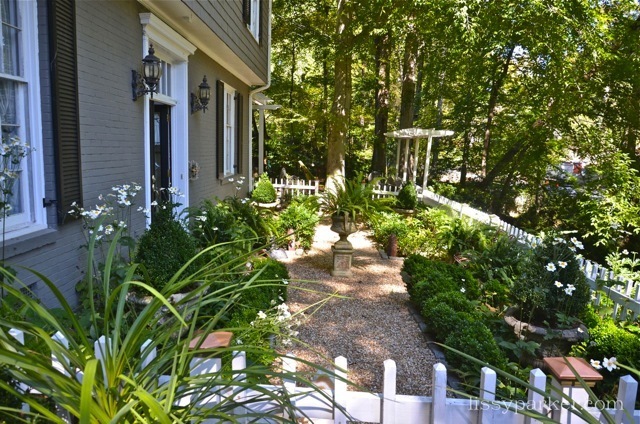 Boxwoods in Atlanta designed and installed the gardens and creek areas—and they’re perfect. Dan Cleveland and Randy Korando worked magic in every inch. The location is perfect—walk to school, Starbucks, Publix … and the nearby park that children love. We’ll miss the house and neighbors, but will have a base in North Carolina and an apartment in Atlanta. Here’s a fall view with the anemones in bloom. I do love my little entry courtyard. 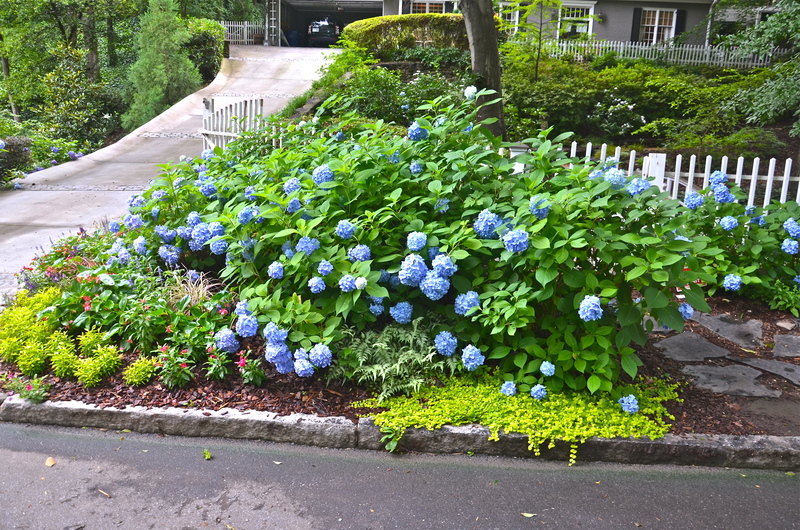 And when the hydrangea are in bloom you will have hydrangea for every room in the house. Welcome to the patio just outside the family room. Good luck to all y’all, Lissy. A mountain home and an ATL pied a terre sounds like the perfect combo! Darrin you are too kind. I am now looking for a pied-a-terre in the area. This sweetie is a home where I have felt welcomed and loved. It’s just waiting for a new family! Blayne, Thank you so very much! Your pictures are truly amazing and make my home look beautiful. Holly, You are the best!Thank you for your sweet comment. I am completely charmed, Lissy. It could not be more beautiful with the character of the 40’s and all of the modern amenities – what a perfect combination. I’m not sure I’d ever make it inside – the gardens are spectacular! Wow—thank you so very much. I hope everyone looking thinks the same thing! Wish me luck. I can say with certainty that this is a precious home – best of luck with the sale! 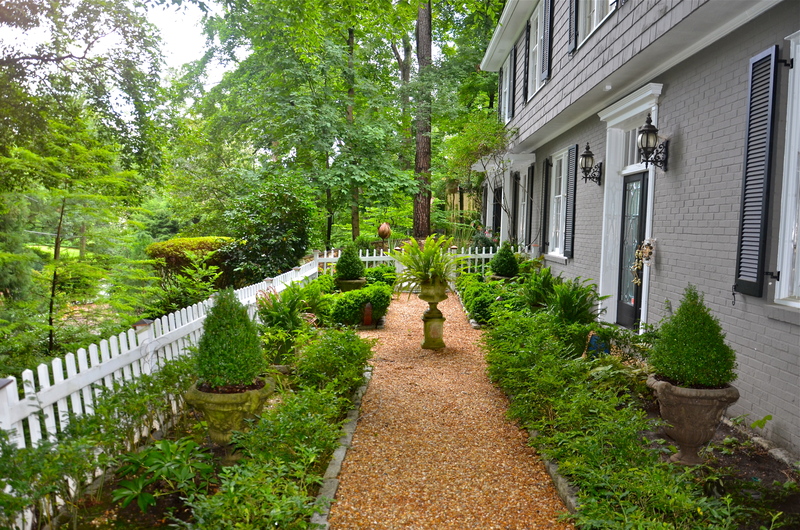 My favorite area of ATL and your gardens are SO charming. The entry courtyard-perfect! Good luck with your sale.